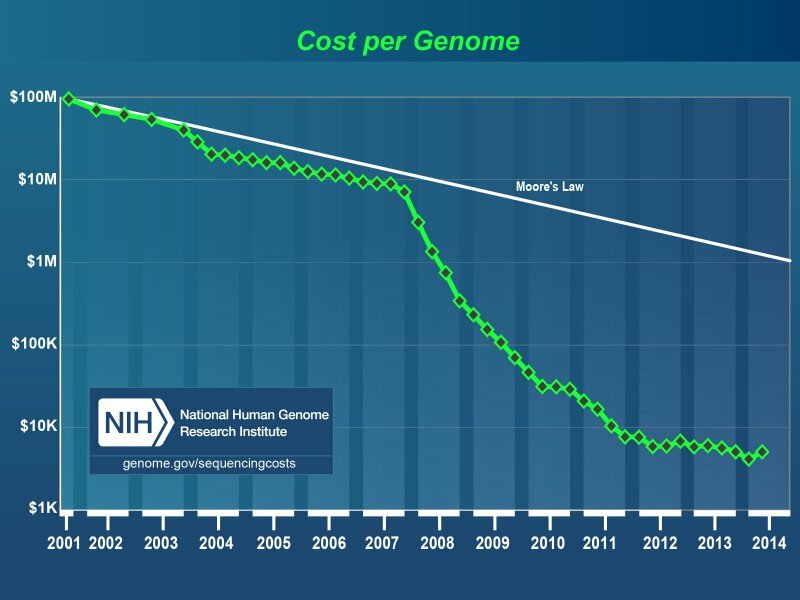 Now that digital medicine is producing the techniques, the machines, and prices for genome sequencing are falling fast following a Moore’s Law of sequencing cost, what’s next in the world of genetics? First, a long-standing concern that biology could be taking a turn away from ethics as human genetic engineering proceeds into uncharted territory. That mosquito that sipped dinosaur blood, then got caught up in tree sap that embedded the little beast with the blood of a large beast in an amber tomb, preserved over millions of years, to be rediscovered by modern scientists — and a rich man with dreams of revitalizing life as a theme park and more — they’re back. This time bigger and badder, a REX worse than T REX. While screenwriters (and Michael Crichton-esque too-close-to-reality-for-comfort ‘fiction’ writers) ply their trade, we are seeing more digital thought being given to the consequences of the next stage that currently in development. The real world of genomics is close to becoming reality — and scientists, doctors, biologists and ethicists, researchers and others wearing many hats are worried. What is the ‘right’ path to pursue? Is a technological imperative of ‘what can be done, will be done’ driving us? A group of leading biologists call for a worldwide moratorium on use of a new genome-editing technique that would alter human DNA in a way that can be inherited. 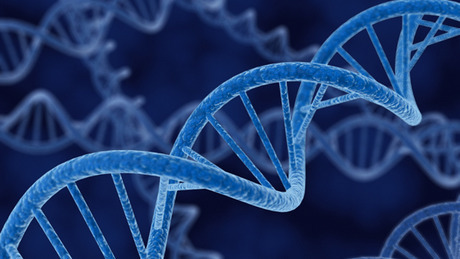 Genome engineering technology offers unparalleled potential for modifying human and nonhuman genomes. In humans, it holds the promise of curing genetic disease, while in other organisms it provides methods to reshape the biosphere for the benefit of the environment and human societies. However, with such enormous opportunities come unknown risks to human health and well-being. In January, a group of interested stakeholders met in Napa, California, to discuss the scientific, medical, legal, and ethical implications of these new prospects for genome biology. The goal was to initiate an informed discussion of the uses of genome engineering technology, and to identify those areas where action is essential to prepare for future developments. The meeting identified immediate steps to take toward ensuring that the application of genome engineering technology is performed safely and ethically. A new technology called CRISPR could allow scientists to alter the human genetic code for generations. That’s causing some leading biologists and bioethicists to sound an alarm. They’re calling for a worldwide moratorium on any attempts to alter the code, at least until there’s been time for far more research and discussion. Perhaps you’re referring to the work being conducted in China? In a world first, Chinese scientists have reported editing the genomes of human embryos. The results are published in the online journal Protein & Cell and confirm widespread rumours that such experiments had been conducted — rumours that sparked a high-profile debate last month about the ethical implications of such work. The experiment with human embryos was dreaded, yet widely anticipated. 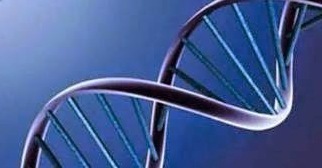 Scientists somewhere, researchers said, were trying to edit genes with a technique that would permanently alter the DNA of every cell so any changes would be passed on from generation to generation. Now, scientists in China report that they tried it. The experiment failed, in precisely the ways that had been feared. “One of the biggest roles of science fiction is to prepare people to accept the future without pain and to encourage a flexibility of mind,” runs the wisdom of Clarke, as quoted in The Making of Kubrick’s 2001, ironic in that central to Kubrick’s adaptation of 2001 is the story of a homicidal artificial intelligence let loose on a crew of archetypical American Hero astronauts.